Home Content Editor Web Part CSS Recycle Bin Security SharePoint SharePoint 2007 SharePoint 2010 UI Enhancement How to Hide View All Site content & Recycle Bin Links in SharePoint 2010/2007? 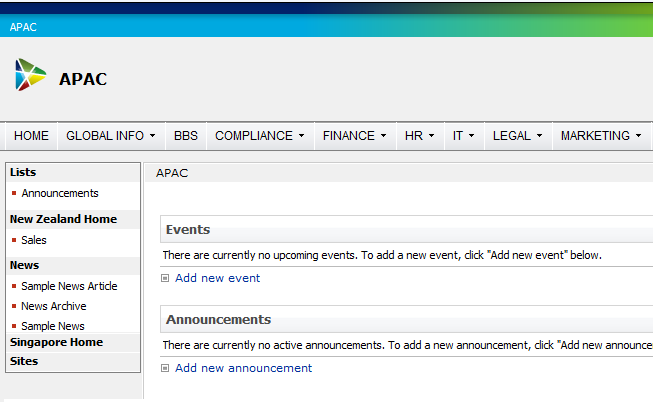 How to Hide View All Site content & Recycle Bin Links in SharePoint 2010/2007? Another frequently asked question: How to Hide the Recycle Bin & View all Site content links in SharePoint site? Yes, we can hide them, not a big deal! Want to Hide View All Site Content / Recycle Bin Links from everyone, except Site Owners? Yes, You can set the permission string of these links to hide it from all users except the specified in PermissionString property. 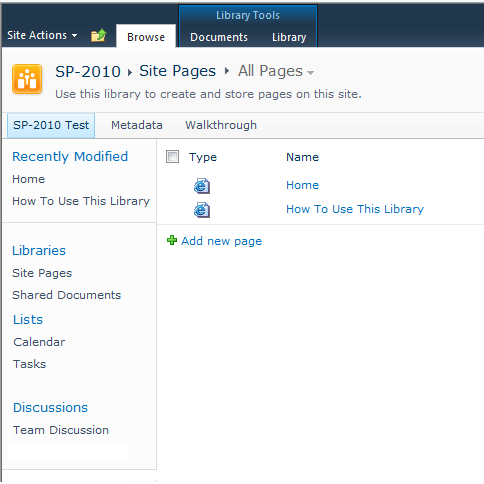 Open your master page in SharePoint designer (either MOSS 2007 or SharePoint 2010). 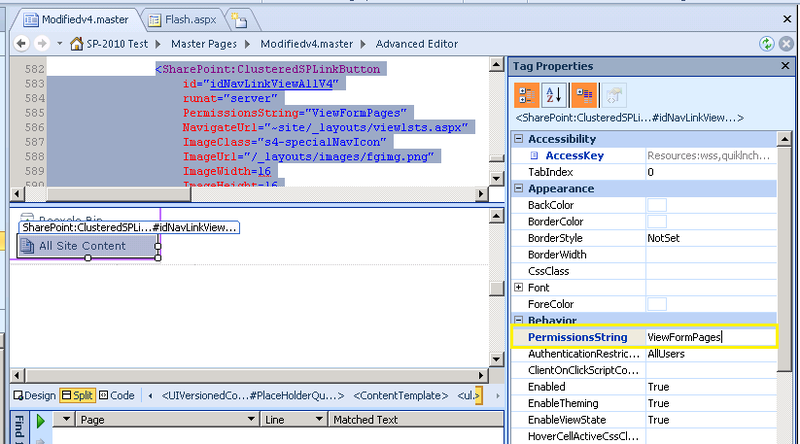 In Design view select "All Site content Link" in Tag Properties, Go to PermissionString and Enter the permission string. Say, you want this link to be available only to Site owners, then enter: "FullMask"
You can use: SPSecurityTrimmedControl also to hide All Site Content or Recycle Bin Links from anonymous user.